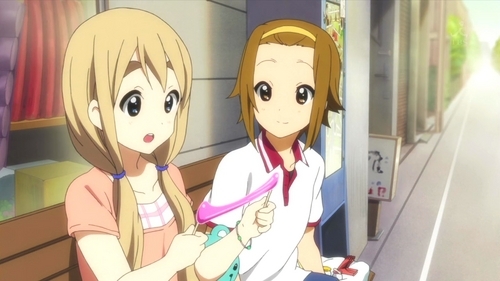 (S2)In EP14, Mugi and Ritsu visit a dagashiya, 或者 old-time bargain 糖果 store. Mugi tries to eat a 粉, 粉色 kind on sticks. What is this dagashi called?